Varanga is a small village located at a distance of 26 Km from Karkala in Udupi district. This village is found on the way from Karkala to Agumbe. Varanga is a popular pilgrim center especially for Jains. This beautiful village houses most ancient and wonderful Basadis (Jain Temples). 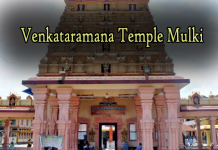 The main attractions of Varanga are Neminatha Basadi, Chandranatha Basadi and Kere Basadi. At a distance of 34 Kms from Udupi, 72 Kms from Mangalore & 22 Kms from Karkala, Kere Basadi located in Varanga is a beautiful Jain Temple located in middle of a lake. The temple is located in beautiful surroundings. The temple has four idols in four directions facing North, South, East and West. The idols of 4 Tirthankaras are Bhagwan Parsvanatha, Bhagwan Neminath, Bhagwan Ananthanath & Bhagavan Shantinath. The Kalla Basadi located on the way to Kere Basadi is an ancient stone monument and a worth visiting place. 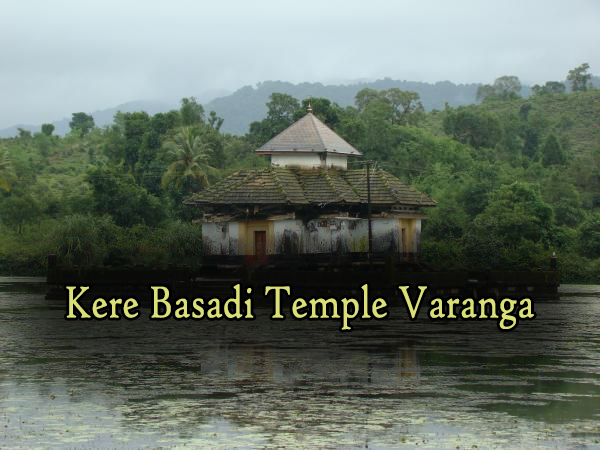 Kere Basadi: The uniqueness of Kere Basadi is that it is situated in the midst of a gentle green lake in Varanga. It seems like a lotus in a pond. This basadi is also called as Jalamandir. Tranquil lake contrasts well with the sharp quadrilateral architecture of the basadi and gentle swaying hills at the distance. It is believed that this Basadi has the history of 850 years. The Kere Basadi is dedicated to Lord Parshwanath, the 23rd Tirthankara. The basadi is a chaturmukha which has four entrances in four directions. The Kere Basadi houses the idols of Lord Parshwanatha, Lord Shanthinatha, Lord Ananthanatha and Lord Neminatha in Kayotsarga posture facing four different directions. The idol of Goddess Padmavathi, Yakshi of the deity is installed in front of the Parshwanatha idol.This Basadi remains closed most of the time and devotees can request the priest of the Basadi to take them to the Basadi. The only way to reach this Basadi in Varanga is in a small wooden boat.People believe that offering prayers and worshipping Lord Parshwanath in this Basadi brings prosperity and fulfill the wishes of the devotees.